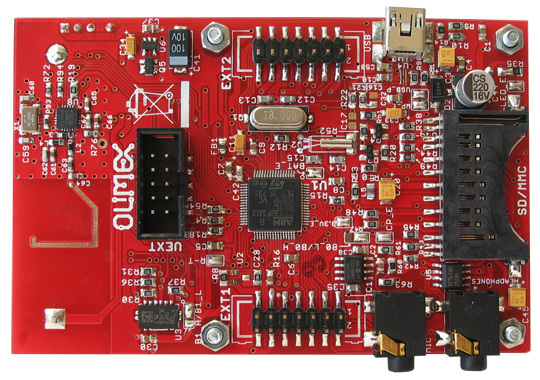 STM32-405STK is a general-purpose development board that allows the evaluation of STM32F405. 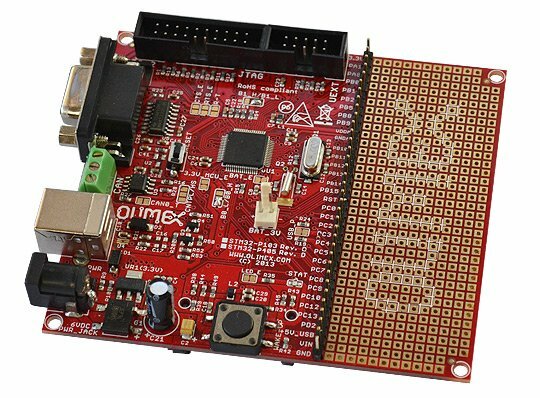 The STM32F405RG ARM Cortex-M4 processor is part of the latest generation of ARM processors for embedded systems. 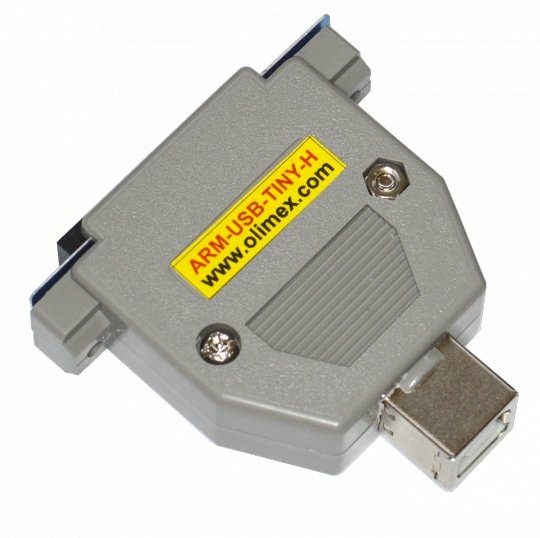 It has been developed to provide a low-cost platform that meets the needs of a MCU with reduced pin count and low-power consumption, while delivering high computational performance and an advanced system response to interrupts. The ARM Cortex-M4 32-bit RISC processor features exceptional code-efficiency, delivering the high-performance expected from an ARM core in the memory size usually associated with 8- and 16-bit devices. 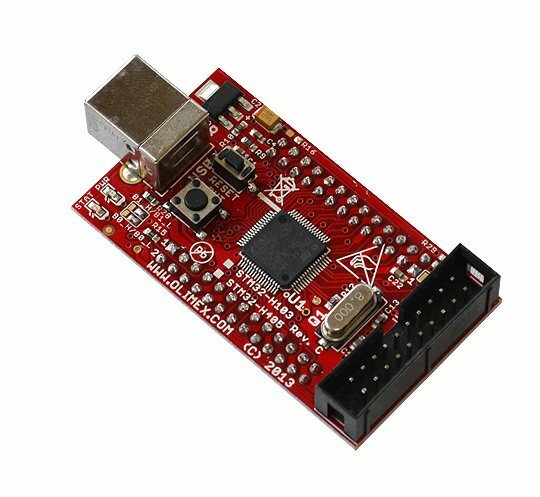 STM32-405STK is a starter-kit board which allows you to explore most of STM32F405's capabilities. It has also a NOKIA 3310 BW 84x48 LCD display, buttons, a SD-MMC card, an accelerometer, a 2.4Ghz RF transceiver, audio input and output jacks. 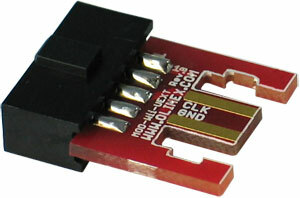 The board can be powered from a single 1.5V AA cell battery. 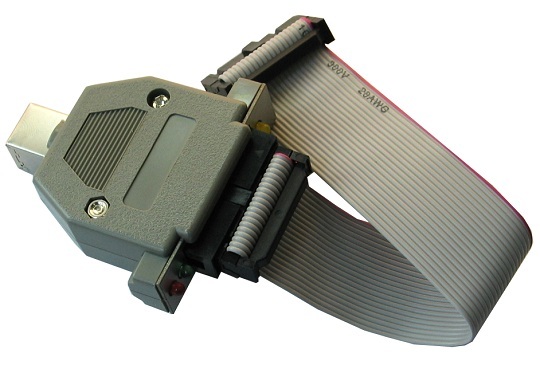 The board has a standard 20-pin JTAG/SWD connector. 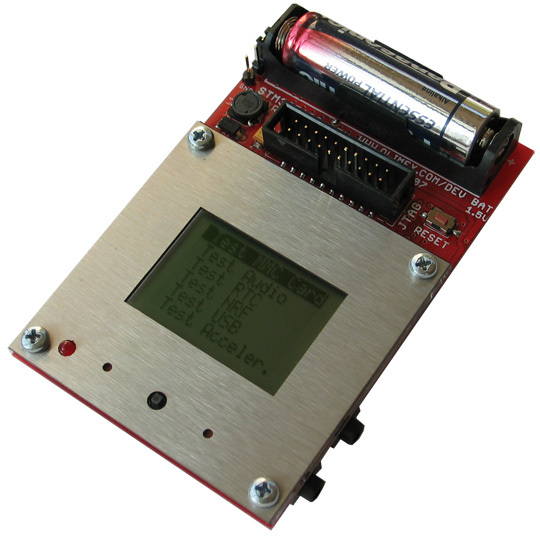 The board features two headers with all microcontroller signals near it, giving the customer an easy way to implement his own schematics and add-ons. 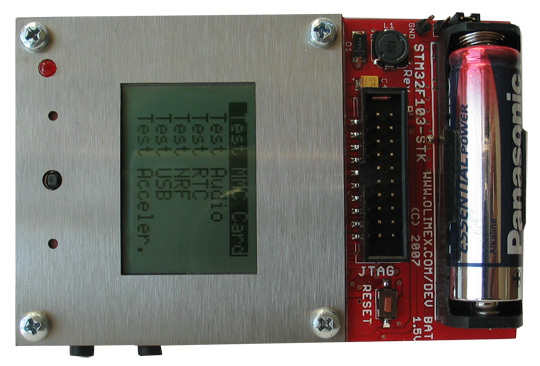 The STM32-405STK board is compatible with all the tools and software used in typical ARM development environment. Dimensions: (90 x 65)mm ~ (3.5 x 2.5)"